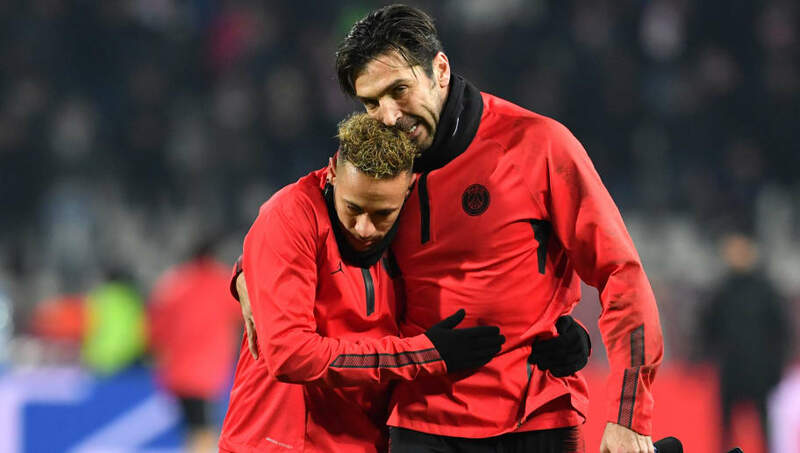 Paris Saint-Germain shot-stopper, Gianluigi Buffon, feels his side could struggle without talisman Neymar when they make the trip to ​Manchester United for the first leg of their Champions League last-16 tie on Tuesday night. Neymar will miss the tie with a foot injury, and the Ligue 1 club could also be without Edinson Cavani after he limped off the field in Sunday's 1-0 win over Bordeaux. With only Kylian Mbappe fit to feature, Buffon is concerned his side might not have enough firepower to beat Ole Gunnar Solskjaer's in-form Manchester United. "I think this is a problem for us," Buffon told CNN Sport, as quoted by Daily Mail. "I'm not sure if it's a big problem or a little one. I hope it's only a small problem and that we nevertheless as a team thrive without him. This would give us great strength and confidence. But I must say that without a player of Neymar's calibre, it's going to be heavy going." "Particularly because in the last two or three months he's been in excellent condition – both physically and mentally – and he would have been of enormous help. Nevertheless, we have to do our best in order not to have any regrets and play the quarter-finals and semi-finals with Neymar back." "And this would be the best present we could give to him. I'm sure he would return the favour by playing in those two matches," he concluded.